The prints and drawings on view in the exhibition Graphic Discontent: German Expressionism on Paper demonstrate how German artists during the early 20th century rejected objective representations of the visible, physical world to render subjective emotional and spiritual states. German film directors brought this same “expressionism” to the movie screen during the 1920s. Like the visual artists that preceded them, German Expressionist filmmakers embraced distortion and abstraction to externalize internal thoughts and feelings. 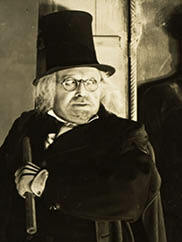 Scarred by the devastation of the First World War (which served to underline the dark side of human nature) and influenced by the experimental German theater of Max Reinhardt, these moviemakers employed oblique camera angles, dramatic lighting and shadows, and stylized decor, makeup, and acting to tell fantastic stories of dreams and nightmares, killers, and monsters. One of the earliest and most influential of German Expressionist films, The Cabinet of Dr. Caligari, told its twisted tale of murder and madness on blatantly artificial sets. Expressionist movies were usually shot in film studios and not on location. 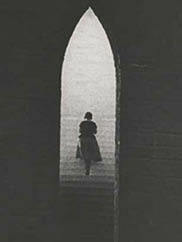 The flowering of Expressionist film during the 1920s constituted the first Golden Age of German cinema. Some of the country’s greatest directors—Fritz Lang, F. W. Murnau, and Paul Leni—were Expressionists, and when they immigrated to the United States, they brought the style to Hollywood, where it had a profound impact on horror movies and film noir. International directors as diverse as Sergei Eisenstein, Alfred Hitchcock, and Orson Welles donned the mantle of Expressionism during their stellar careers. 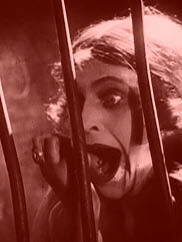 The granddaddy of German Expressionist films is an eerie, twisted psychodrama that unfolds on artificial, abstract sets. A carnival hypnotist commands a sleepwalker to commit a series of grisly murders. “One of the most exciting and inspired horror movies ever made” —Time Out Film Guide. Restored version. 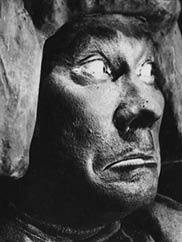 In this celebrated anthology film, a poet is hired to write the back-story of three notorious personages in a wax museum’s “chamber of horrors”: Harun al-Rashid, Ivan the Terrible, Jack the Ripper. The stories come to life—literally, in one case. Restored version. The prototype for the Frankenstein monster is found in this film version of an ancient Jewish legend. Set in 16th-century Prague, the film tells of a rabbi and Kabbalist who creates a giant, animated warrior out of clay to protect his congregation from the emperor’s cruel dictates. This unauthorized adaptation of Bram Stoker’s Dracula is one of the earliest and creepiest vampire movies. 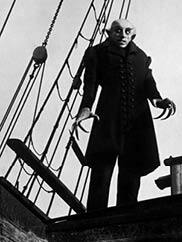 While house hunting, the ghoulish Count Orlok trains his fangs, talons, and beady eyes on an unsuspecting real estate agent and his beautiful young wife. Restored version. In this elaborate, fantastic triptych set in storied Persia, 17th-century Venice, and mythic China, Death grants a young woman three chances to thwart fate and save the life of her fiancé. This is the first great film from the director of Metropolis and M. Restored version.